The Chippewa Valley Geek: The CVG Special Bulletin Podcast #002 - Copper Country! The CVG Special Bulletin Podcast #002 - Copper Country! 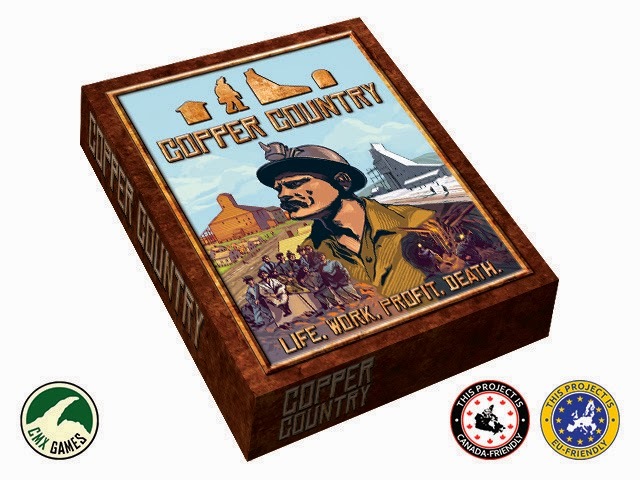 If you listened to the latest episode of the CVG Podcast and Rhythm & Blues Review, you probably heard the interview I did with David Lankton and Scott Diehl of CMX Games down at GaryCon about their new project, Copper Country. Well, their Kickstarter is finally live, so to help out, I pulled the part of the episode with the interview, and plugged it into it's own Special Bulletin Podcast here, just to help get the word out. So check it out and give the interview another listen to recap, then get your bad self over to Kickstarter to help make this fine piece of gamery a reality!